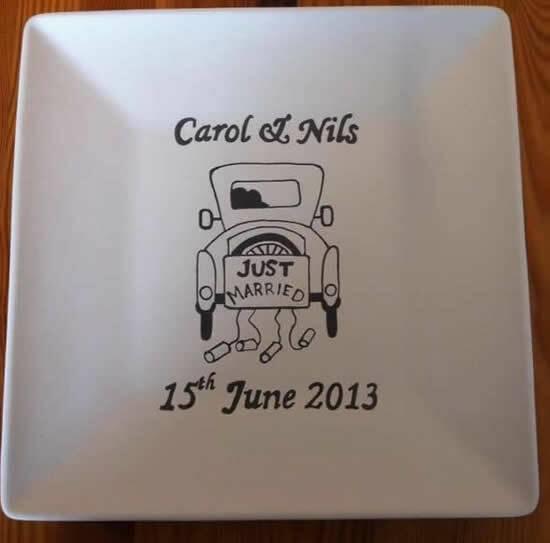 We can personalise your plate, bowl, mug, teapot or another item of your choice with your message. We can either send you the kit in the post, or even come to your own home if you are based nearby in our home territories – Leitrim, Longford, Mayo, Sligo, Roscommon & Westmeath. 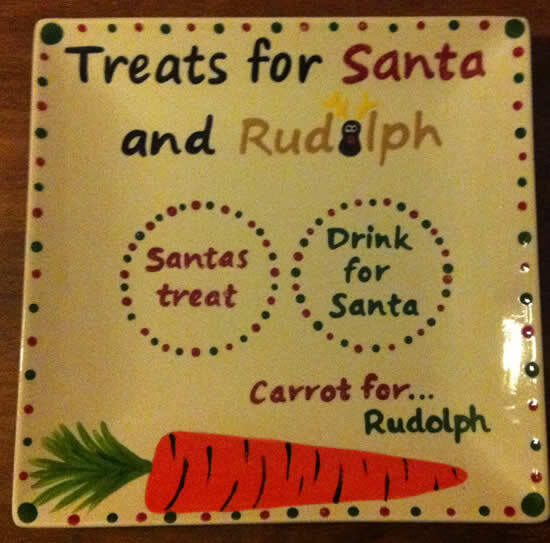 We will then glaze and fire your exclusive gift and send it to you. 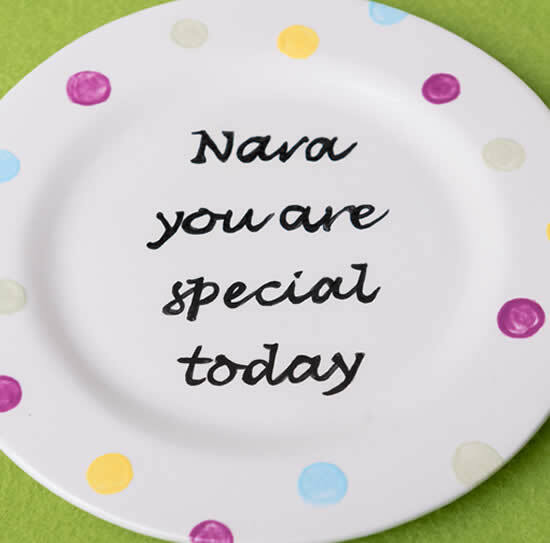 Our personalised gifts are unique and no two are the same. 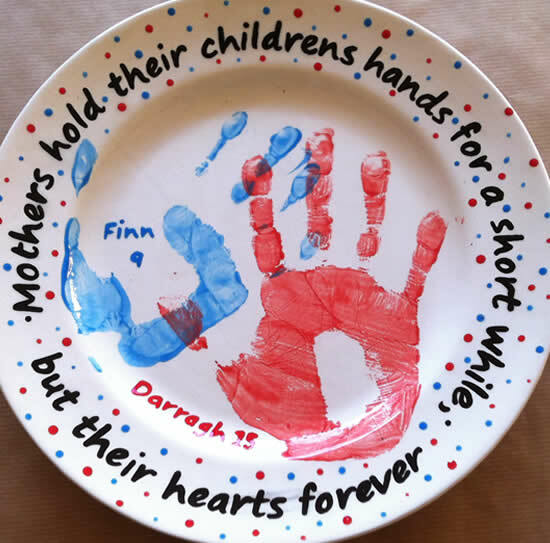 Each personalised gift will be slightly different because we hand-paint them and therefore there may be slight imperfections and differences in the paint or on the ceramic. Get in touch to discuss your perfect gift.